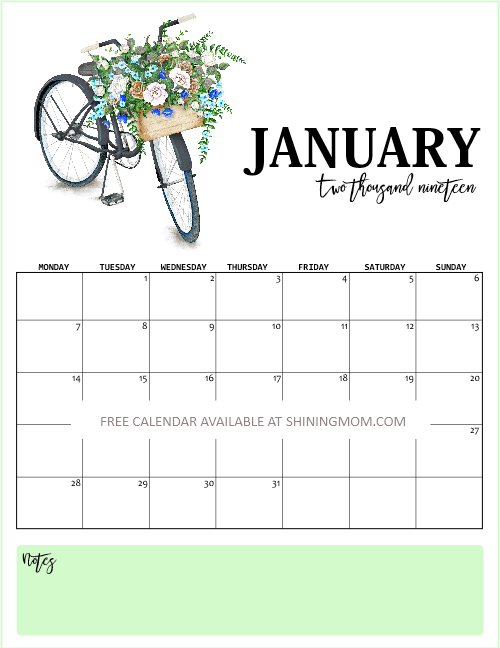 2019 Calendar Printable and Life Planner for FREE - So Beautiful! Plan a beautiful year ahead with our 2019 calendar printable and life planner! They come in the most gorgeous bicycle theme with lovely bouquets and bunches of flowers. Getting organized in 2019 will definitely be easy with these amazing printables. You can’t afford to miss them! Ahhh, friends!Have you noticed? We’re now going all out with our 2019 freebie releases! We’ve already released the Happy Life Planner some days ago (which is now a massive hit at Pinterest) and here we are again, launching another beautiful planner! We’re super excited to present to you this brand new planner for 2019 that comes with monthly 2019 calendar as well. 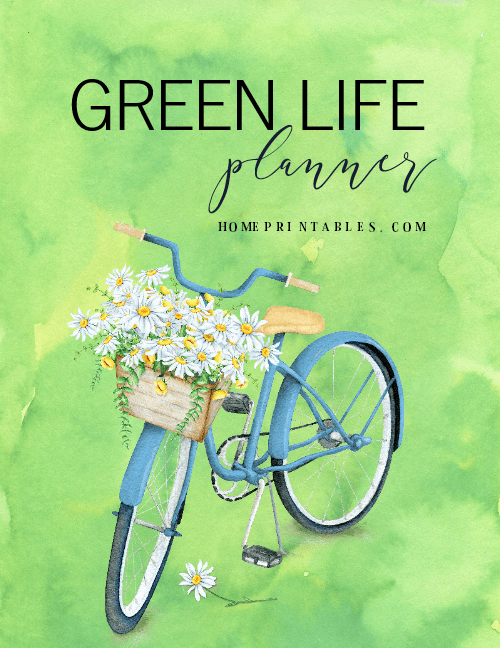 Presenting… THE 2019 GREEN LIFE PLANNER! Why GREEN LIFE ? We love the color green as it’s associated with growth, freshness, fertility, environment, wealth and life hence we named this amazing planner as such. We’re very positive that this planner will help you have an abundant year ahead! Let’s view the pages included? Join us in this quick planner “tour”! 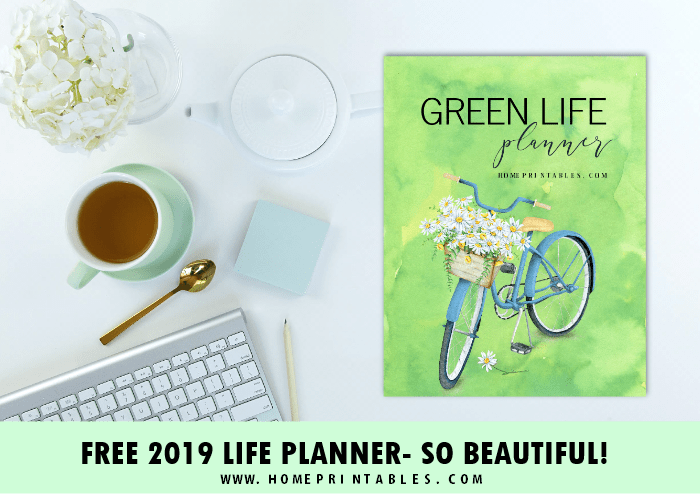 The 2019 Green Life Planner with Free 2019 Calendar Printable! The 2019 Green Life Planner includes over 40 refreshing pages that you can use right away. It comes in gloriously beautiful bicycle theme designed by Eva Katerina. We’re so blown away creating this planner because we’re totally giddy in excitement incorporating the beautiful bicycles as our design elements. Have a look. That’s just one of the four cover options we’ve included in your download! If you love the cover page above, we’re so sure you’re going to love the rest of the planner cover designs as well (you might have a little difficulty deciding which one to print and use)! Each page of your The 2019 Green Life Planner comes really beautiful. Just have a look at the sample page below. Won’t creating your 2019 vision board be fun when you use a page as pretty as this one? Ahhh! That bike is so adorable. We can’t get over it! 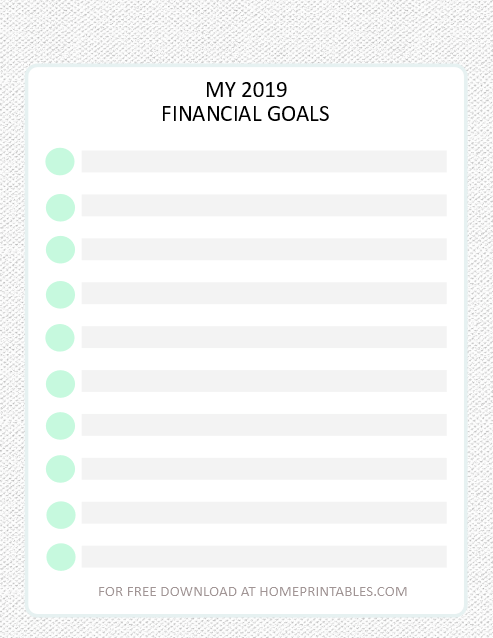 There are also pages that come minimalist like this Financial Goals page. So what are your money dreams in 2019? It’s time to write them down! You know how we love to set goals so it’s given that we are also including monthly goal-setting pages. 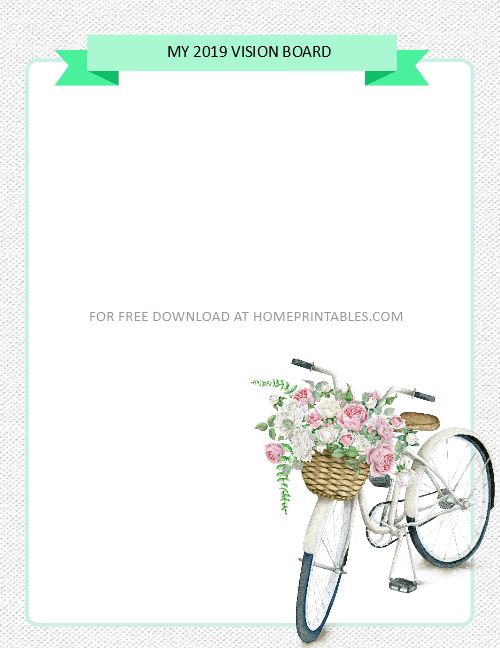 Easily write down your priorities right in these pretty templates! Because isn’t it that when you have set your monthly goals, you know clearly what you are set to achieve? Use these free monthly goals planner and you’ll always be in track all year round! Planning pages for the months of January till December are ALL included! Wait, there’s more! You’ll also be getting 2019 calendar printable! Ready to view them? They’re just as beautiful as the planners shown above! We made sure to include amazing 2019 calendar printable in your planner as well! You can’t believe that you can snag all these beautiful monthly calendars for FREE! Here’s a closer look at our January 2019 calendar. Tell us, it’s beautiful. Isn’t it? RECEIVE YOUR FREE 2019 CALENDAR AND PLANNER SENT STRAIGHT TO YOUR INBOX! These freebies are designed for printing in US standard Letter size paper with 8.5″ x 11″ dimensions. You may also use other paper sizes such as A4, just be sure to adjust your printer setting to FIT the pages. HELP SPREAD LOVE, PIN THIS POST! Please help us pass this freebie forward by pinning this post at Pinterest! Thank you very much for your support! And oh, should you like to see more organizing printables, you can pop over here to check out our newly launched store! There are so many beautiful planners there! Have an amazing year ahead! Thanks for visiting us today! Please say “HELLO” at the Comments. We would love to hear from you! Thank you so much. It’s lovely!